The best product for its price and quality! 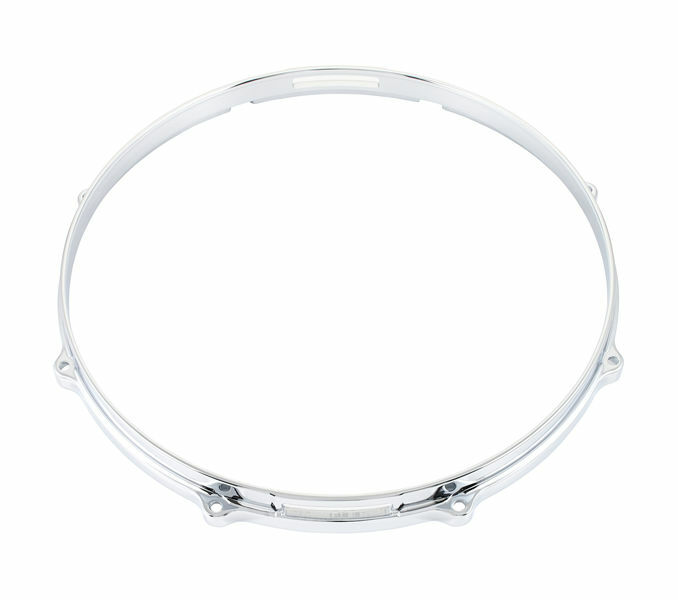 Rich the professional sound by installing the die-cast hoops from TAMA! Pimp your snare with heavy metal! Some of you who marvel at my snare collection from all over the world, swallowed up to 63 copies, and (if I have a good time) are able to cover some of the pieces, wonders why a drum from the Australian Edelzimmerei Brady or a Craviotto- Wunderding with later bought Tama-Gussspannreifen from Thomann. With very nice people I then take the fun and invite to the comparative hearing test. With the same, but not particularly startling, result! Man can (but does not have to) explain the convincing acoustic impressions of a cast-pounded snare with simple basic-school physical facts; The overall weight of the instrument increases first, resulting in a positively altered oscillation behavior of the whole body. With extremely tight tension of the percussion, even annoying overtones disappear in this way. In my experience, the point at which the snaredrum sounds crisp, funky, dry and "clean" without reaching sensitivity in the speech and penetration force Lower volume range. Of the rim clicks to say nothing: even here follows "more class" from "more mass"! At the high end of the load (eg by rim shots), a heavily cast snare will probably exceed a drum hail more easily than its weakerly decorated counterpart. Speaking of Tama: It is self-explanatory that after nearly 40 years of drumming love I am more than ever of the opinion that the best hardware is built by this manufacturer; Admitted, I've never tried anything else. Why? ID: 252310 © 1996–2019 Thomann GmbH Thomann loves you, because you rock!